Come and Join in our Annual Special Open Days! Preparing demonstrations, talks and exhibitions, ISAS's researchers wait for you. 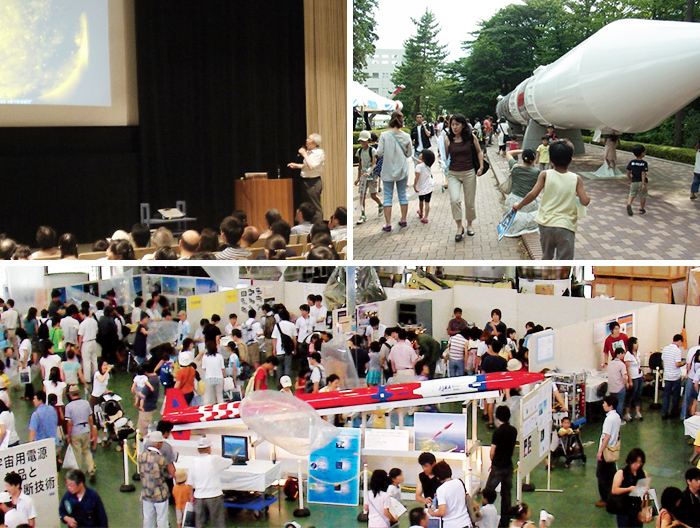 ISAS hosts Annual Open Days at the Sagamihara Campus that is a big outreach event of ISAS and ore than 13 000 people visit. The highlights are short lectures for children, demonstration of rovers and so on. Aeas where the general public can not enter are opened during this event.